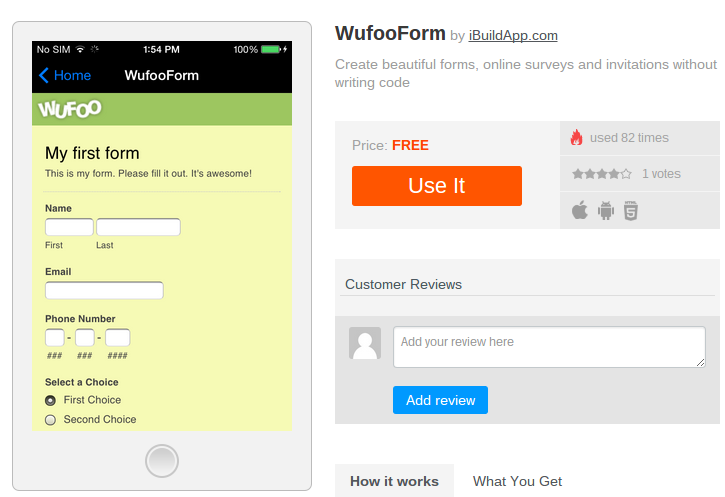 The brand new Wufoo Form feature can help you to make mobile apps with wufoo login, wufoo surveys! 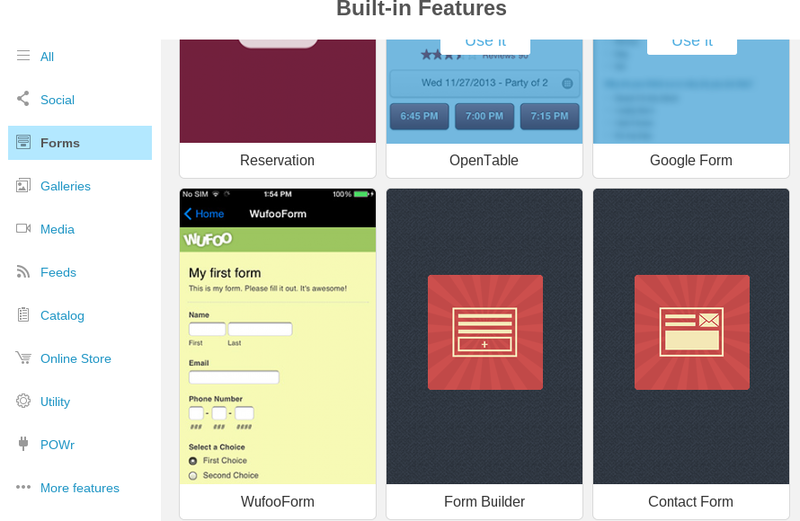 Wufoo lets you create submission mobile forms for your mobile app without developing any code. Connect Wufoo forms with iBuildApp and your mobile users can submit request forms, report issues, ask for help desk assistance, etc. The idea behind the feature is for you to build mobile-ready online forms without being restricted to only a few fields or tools. In fact, you get to design striking forms with the Wufoo drag and drop editor. Not only that, but the WuFoo interface allows payment acceptance through forms, data analysis, user management, over 300 templates and themes, and the ability to quickly embed your design into an iBuildApp mobile app. From beautiful forms to online surveys and invitations, Wufoo will allow you to make stylish and functional forms, unlike any other form manager you can find. Keep reading to learn how to use the Wufoo feature with iBuildApp. What Makes Wufoo Forms Builder Stand Out with Logins, Surveys? In order to get the ball rolling with your Wufoo Forms, login to your account and select an app you want to start modifying. Go to the Edit panel and scroll down to the Manage Content area to modify the look of your tabs and buttons. Select which feature you would like to change, and click on the Change Feature link to proceed. The Wufoo Form feature sits in the Forms category, which allows you to select the feature and drop it into your mobile app. After that you'll see an area that asks for a page title and Wufoo Form URL. Where do you find the URL? Start by opening the main Wufoo website and signing up for a free account. Once you create an account and log into that account it redirects you to the Wufoo dashboard. Locate the New Form button in the upper right hand corner and click on it. This is where you can build your form and place just about anything you want in the form. You receive three free forms from the Wufoo company, and after that you must start subscribing to one of their plans. 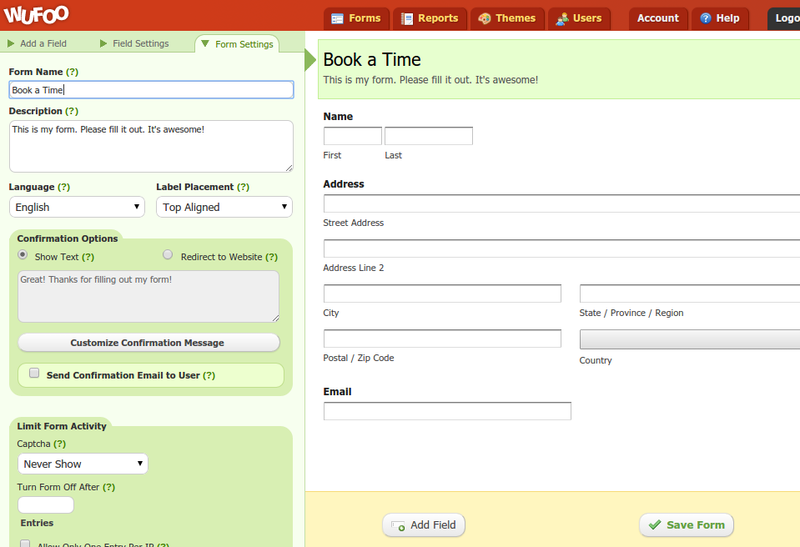 Feel free to name your form, give it a description and drop in buttons, fields and other tools. You can also choose from themes, add users to your forms and even manage your reports once users start making submissions. Make sure you save the form upon completion. Return to the Wufoo admin dashboard and select the View button to grab your Wufoo URL. This is a step needed to transfer the form over to your iBuildApp mobile app. The next page provides a desktop view of the new form, but you only want the form URL, so go to the top of your browser and copy the URL you see in the search bar. Move back to the iBuildApp Manage Content area and paste in that URL to the field that reads "Enter Your Wufoo Form URL"
Once you click away from the URL field it should update automatically and reveal your sleek new form in the preview area. You can play around with the Wufoo form in the preview, but the best area to modify the settings and designs is in the Wufoo admin panel. 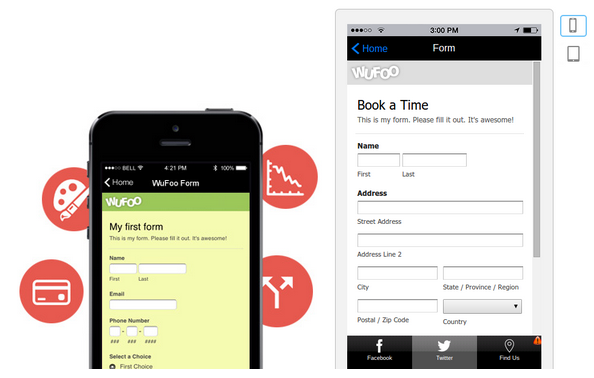 That's all there is to it when it comes to making apps with mobile forms through Wufoo. 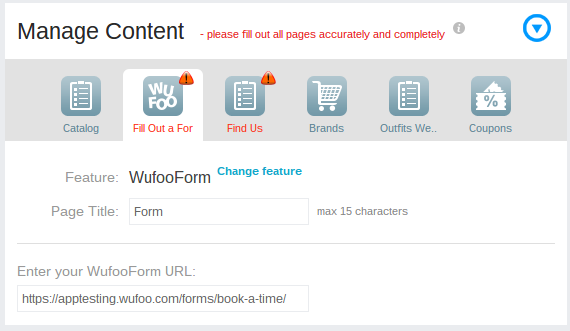 The coolest part of this integration is that Wufoo is constantly making upgrades to its own system, meaning that your forms will improve once new releases and features come out. That said, drop a line in the comments section if you have any questions about how to generate and design Wufoo and Google forms with this new feature.